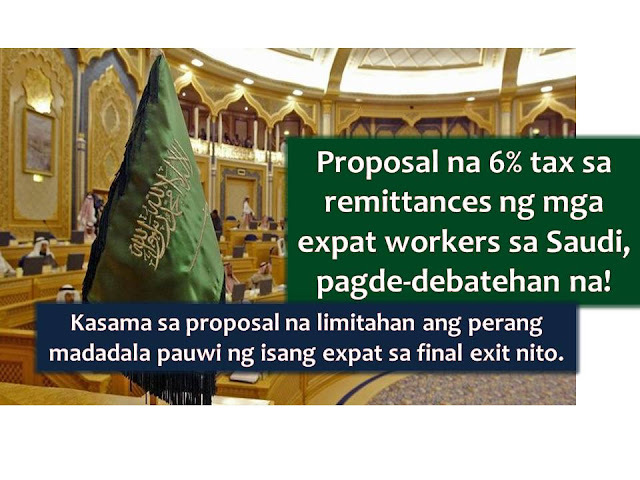 The debate on the proposed 6 percent tax on the remittances of expatriate in the Kingdom of Saudi Arabia is set to begin this week. According to Saudi Gazette, The Consultative Assembly of Saudi Arabia or The Shura Council will study the said proposal with an aim to help lessen the huge budget deficit of the Kingdom. The program targets to increase the country’s non-oil revenue collection. The proposal was made by Hussam Al-Anqari, former chief of the General Auditing Bureau (GAB). 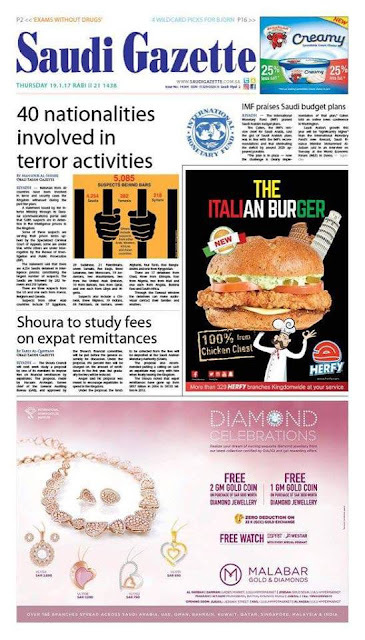 It has been approved by the Shoura’s financial committee and will be put before the general assembly for discussion. 1. A 6% tax will be charged on the amount of remittances of expats in the first year. But gradually the fees will be reduced. 2. The collected funds from expat's tax will be deposited at the Saudi Arabian Monetary Authority (SAMA). 3. There is also a recommendation to put ceiling on cash an expatriate could keep or carry with him when he makes a final exit in the Kingdom. Anqari said, this proposal is meant to encourage expatriates to spend money in the Kingdom to help the economy. Anqari added that this will encourage foreign nationals to invest more in the Kingdom. 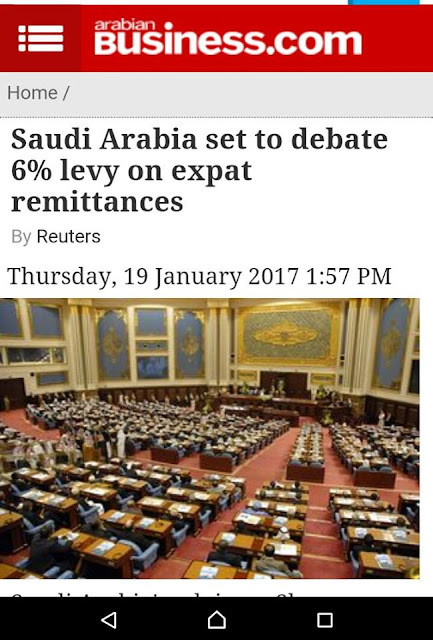 According to Saudi Central Bank data, roughly 10 million foreign workers transferred $9.4 billion to their home countries in the third quarter of 2016. These expat remittances have gone up from SR57 billion in 2004 to SR135 billion in 2013. On the other hand, expatriate workers in Saudi Arabia express concern regarding the burden of the proposed 6 percent tax. Some Filipinos in the Kingdom said this will have a big impact on their remittances to the Philippines, especially for those who are earning just enough. Indian workers are also worried about the result of the discussion. Indian expatriate comprises the 20 percent of the total workforce in private sector in Saudi Arabia.